The judge in O’Bannon v. NCAA has ruled that the NCAA violates anti-trust laws by preventing players from being paid for their name and likenesses. This does not appear to be a ruling however that threatens the core of the NCAA – one in which some surmised a more devastating ruling could bring down the organization entirely. It’s certainly far from the worst case scenario for them. That could be a good thing for the future of college sports video games depending on how the NCAA attempts to proceed. In a 99-page opinion, U.S. District Judge Claudia Wilken issued an injunction “that will enjoin the NCAA from enforcing any rules or bylaws that would prohibit its member schools and conferences from offering their FBS football or Division I basketball recruits a limited share of the revenues generated from the use of their names, images, and likenesses in addition to a full grant-in-aid.” Wilken said the injunction will not prevent the NCAA from implementing rules capping the amount of money that may be paid to college athletes while they are enrolled in school, but the NCAA will not be allowed to set the cap below the cost of attendance. The injunction will also prohibit the NCAA from “enforcing any rules to prevent its member schools and conferences from offering to deposit a limited share of licensing revenue in trust for their FBS football and Division I basketball recruits, payable when they leave school or their eligibility expires,” Wilken wrote. Her injunction will allow the NCAA to set a cap on the money held in that trust, but prohibits the NCAA’s cap to be less than $5,000 for every year an athlete remains academically eligible to compete. Essentially EA could now negotiate with the NCAA for rights to all athlete names and likenesses by paying a lump sum that would then be directed in part to the trust for the players. Athletes who enroll at universities before July 1, 2016 are excluded from the injunction however, which could make it difficult if that means EA wouldn’t be able to get any current players in a deal and would have to wait for future classes. The NCAA can appeal but the injunction will not be stayed during that process. It’s unclear then for now whether EA Sports would be able to secure the rights they had before, and obtain those of the players, immediately so they could begin production on a college football game for next summer. It may be a bit optimistic to expect that to happen with legal hurdles still in place but it now appears to be a real possibility within the next few years while a more unfavorable ruling for either side likely would have pushed that window back much farther. [SEMI-RESOLUTION] EA and the CLC have settled the lawsuit. 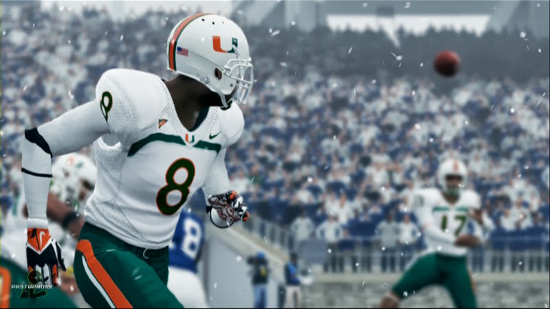 EA Sports will no longer produce a college football game. Getting out of the lawsuit only cost EA and CLC $40 million. The NCAA also settled their part in the video game aspect of the lawsuit for $20 million. EA Sports testified in the case that the company would like to make college football and basketball games in the future. The case concluded in June with a ruling expected in August.